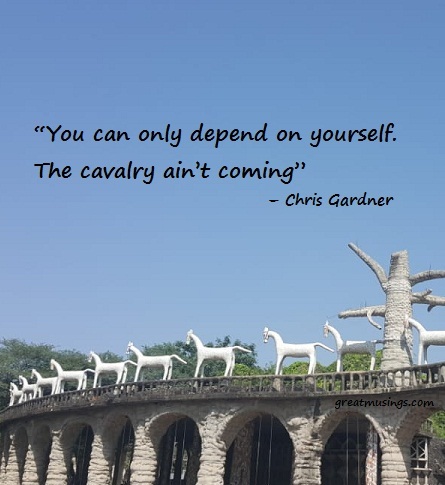 Christopher Paul Gardner or Chris Gardner is an American businessman, investor, stockbroker, motivational speaker, author, and philanthropist. He is a self-made multi-millionaire. But this man was homeless with a toddler son. He spent nights on bench of a park, church shelter, even in a locked bathroom at BART station. He himself had a troubled childhood and was brought up in poverty. He spent sometime in foster home too. He took up many odd jobs for living. In spite of having lived a rough life, Chris was not hopeless. He tried his best to turn every negative situation into a positive one. His mother was a big inspiration for him and encouraged Chris to believe in himself. Try not to lean on others. You have to rely on yourself.